Boutsi, a brisk elderly man from Ban Nondou, is well-known to AEC. 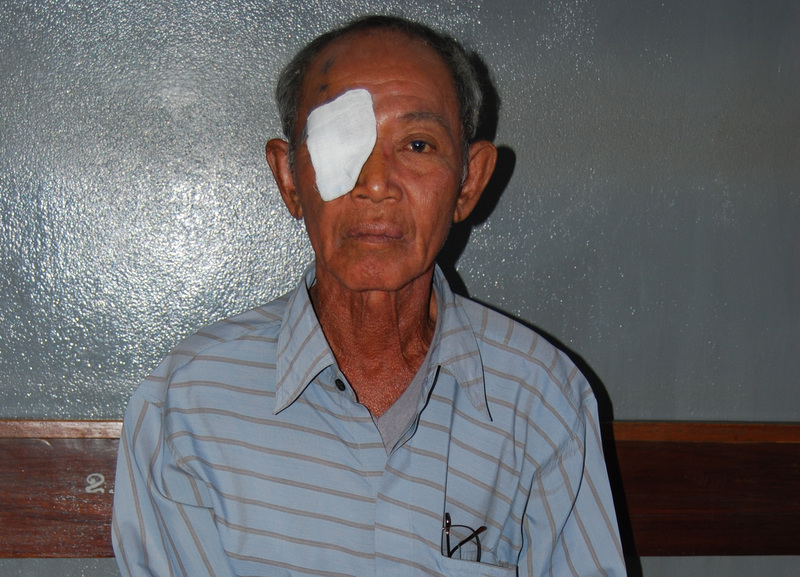 Five years ago, one of his eyes was operated on by us and now, the other one needed treatment. Before he was operated on for the first time, he had become very depressed because of his loss of sight. Although he knew that he could be helped, he also knew that he could not pay for it. The free treatment by AEC was therefore just what he needed. After the first surgery, he was in particular very happy to be able to read and write again, and now he looks forward to the further improvement of the quality of his life.